Engage Coaching & Consulting | What’s love got to do with it? Try googling that and your eyes water! However, in the interests of rigorous research I went deeper. Lose the “romantic” aspect and what emerges is fascinating. Agape –warm, generous, benevolent, self-giving, unconditional-concerned-respect and neighbour-regarding love – can actually make a difference in the workplace. People, when treated respectfully, when listened to, and when accepted as valuable equals, respond with increased engagement and greater commitment. Even the hard nosed Harvard Business Review notes that in a Wharton Business School survey of 3,201 employees in seven different industries from financial services to real estate, the results found that people who worked in a culture where they felt free to express affection, tenderness, caring, and compassion for one another­ were more satisfied with their jobs, committed to the organization, and accountable for their performance. 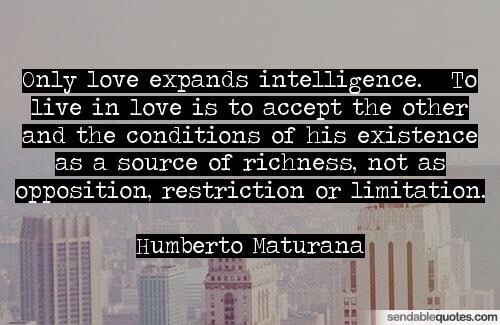 And the renowned (but unreadable) Chilean biologist, Humberto Maturana, has noted that “Only love expands intelligence. To live in love is to accept the other and the conditions of his existence as a source of richness, not as opposition, restriction or limitation.” Imagine that! If we regard and treat people who are different from us as having a legitimate right to be whoever they are….. we all get smarter! While advocating a group hug every morning might be going too far, establishing a culture of concerned respect and good neighborliness is, I would argue, just good business.